HMA TPA - Hawaii Mainland Administrators, LLC.Hawaii Mainland Administrators, LLC. 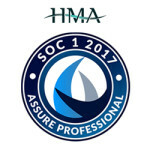 At HMA TPA, our goal is to provide totally integrated administrative services with the most advanced technology and expertise available in our industry. 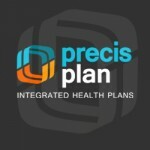 HMA TPA is powered by our proprietary software system to implement and manage health benefit plans. The following are just a few of our capabilities: claim and eligibility administration, PPO and HMO network administration, data management and reporting, and online services for employers and providers available 24 hours a day, seven days a week. We apply these resources to manage medical, prescription drug, dental, vision, and short-term disability claims. All of these services are combined with a dedicated client service team charged with overseeing the day-to-day plan management needs. 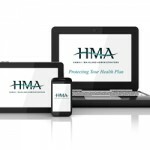 HMA works closely with each client to help determine the best plan of benefits, from deductibles and coinsurance to wellness and utilization incentives. ERISA also allows self-funded plans the choice to avoid many costly state-mandated benefits, if they choose. Therefore an employer that sponsors a self-funded plan has flexibility to determine the best benefits to meet employees’ needs and company objectives. As a result, the typical self-funded plan often provides better benefits at a lower cost than the employer could obtain from a fully insured plan. Because HMA manages the plan and administers all claims, we collect a tremendous amount of data that can be used to provide comprehensive benefit and utilization reports. These reports provide a road map to help continually improve the benefit plan and control future costs. That is truly what managing health benefits is all about.